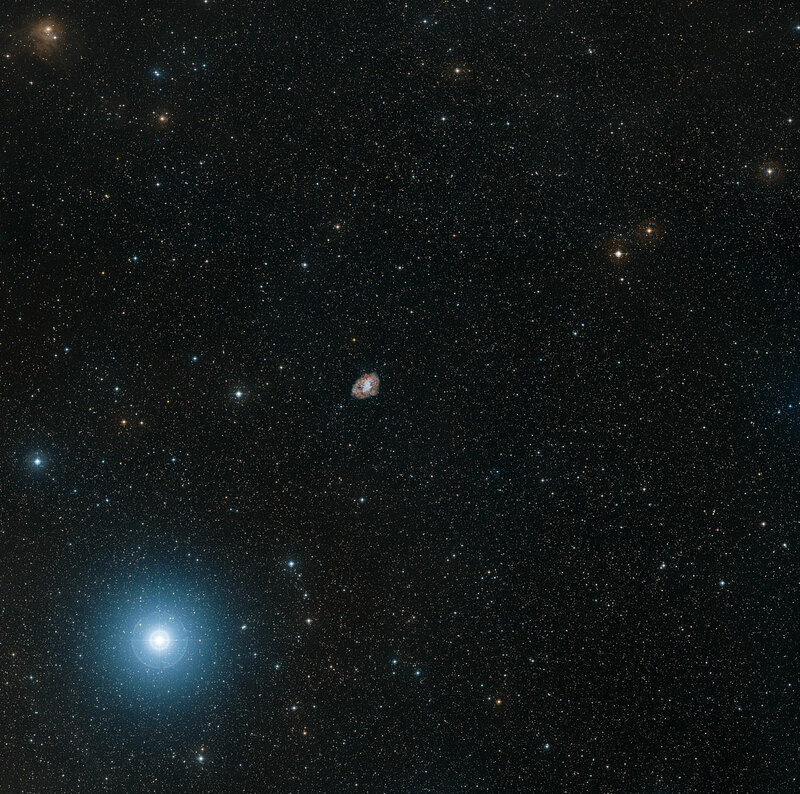 This two-colour image shows 2.7 x 2.7 degrees of the surroundings around the Crab Nebula. It was composed from Digitized Sky Survey 2 images. Position (Dec): 21° 58' 39.35"